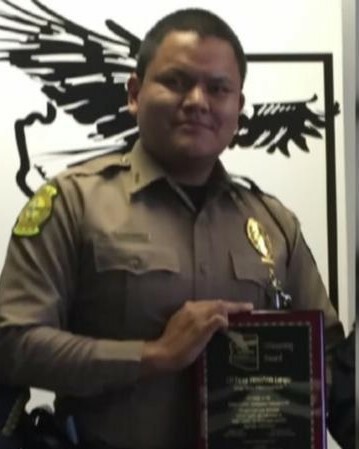 Officer Largo had served with the Navajo Division of Public Safety for five years where he received the Lifesaving Award and 2016 Indian Country Officer of the Year. 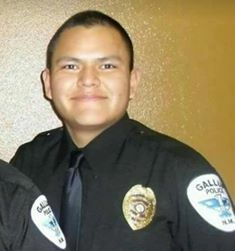 He was also employed with the Gallup Police Department and received City Officer of the Year in 2011. 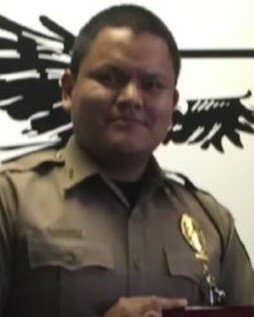 Officer Largo is survived by his parents, a sister and two brothers. Like the disappearin' dreams of yesterday. The Lord replied, “The years when you have see only one set of footprints, my child, is when I carried you.” Mary Stevenson 1936 Garryle, Nocona, me, Jarred, and your family and loved ones are the only ones that know the truth and have earned the right to honor you here. Those handcuffs by your side are your symbol of victory having apprehended your killer.